This video is the introduction to a panel, titled "Human Hybrids: Creating a Global Identity", that took place during the ID Mashup Conference at Harvard Law School on June 20, 2006. The video features co-founder and CEO of ASAFO Media LLC Derrick Ashong, Slam Poet Iyeoka Ivie Okoawo, Jair of Imaginy Community Network, and Jamaican Educator Marvin Hall, Halls of Learning. "In a world where people are increasingly able to connect across cultural and geographic boundaries, what is the future of human identity? Has technology equalized the transmission of culture, or amplified the voices of some to the increased exclusion of others? In the formation of a global identity, what will be the criteria that define “who we are” and who we hear?" Time: 6 min. 59 sec. Please note: This movie file is 30mb and may take some time to load. This is video that I shot using my little handheld video camera. The full length audio podcast from this panel will be available later this week for download at AudioBerkman. This video was originally shared on blip.tv by acmeboston with a Creative Commons Attribution-NonCommercial-ShareAlike license. Over the past month, I have been working with members of the Boston Neighborhood Producer's Group to learn more about videoblogging. We've been discussing ways that BNPG members can post their videos–that they've made for Public Access Television, also–to their blog. This has been a great education for myself as well and a lot of fun. Also, a great way to raise awareness about the importance of public access television (while we still have it). I first met with BNPG members Ada and Hiram about a month ago at the Boston Public Library. At our first workshop, we set up a Blogger account (in three easy steps!) for their organization and added a post to their blog. We also included links to their website and other community organizations websites in Boston. During our workshop, we also talked about Creative Commons. We discussed the concept behind CC and how it allows more people to access more of the work that BNPG members produce. This not only gives their organization more visibility on the web, but their participation in this process helps to contribute to a more creative culture, one that fosters openness and accessibility. Learn more about Creative Commons. At our third workshop, Hiram and I did some troubleshooting to figure out which video formats (and types of video compression) will allow access members, and those visiting their blog, to watch the videos. Including, making sure that their videos play in different web browsers on both Mac and Windows platforms. This has been the most important part of our work so far and something we're still working on. If people have suggestions we can use about accessible video formats, please leave your comments below. Thanks! Most people with computers do not have the latest, greatest, fastest computers with the most up to date software installed. This has been a challenge, but we're making a lot of progress. We discovered that some of the export features in both iMovie and Cleaner allow people with older computers to access video using older versions of both Quicktime and Windows Media Player applications. Particularly, if they use Firefox on either Mac or Windows platforms. Next, we set up a FeedBurner account for the BNPG blog. Using the RSS (Really Simple Syndication) feed from their Blogger blog, FeedBurner uses this feed to provide some great options for syndication and tracking. The BNPG FeedBurner feed will also help bring more people on the web to BNPG's work, through the use of tagging and other types of searchable metadata. We've started our videoblogging workshops with just a few of us. But next we're planning on meeting with a larger group of BNPG members. We hope these access producers will then share their knowledge with other access producers who would like to learn . . . and on and on. Through this volunteer process of sharing skills, tools, and knowledge using new media technologies we hope to empower public access producers and other residents in Boston who have often been, and continue to be, marginalized by the mainstream media. It's been a lot of fun working with the Boston Neighborhood Producer's Group. I look forward to our ongoing workshops in the future. And make sure to watch for more videos from BNPG at their new videoblog. "How to create a videoblog. Editing video. Compression tips. How to shoot better video. Publish your movie. Resources." "How to create a podcast. Editing and compressing audio. Podsafe music and audio clips. Where to find podcasts. Get listed in iTunes. Resources." "How to screencast. How to create a digital story. Where to see digital stories. 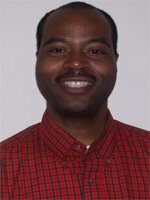 Oral histories: Telling the stories of families and communities." "Digital photography tips. Your rights as a photographer in public places. How to publish your artwork online." "How to write for the Web. How to start a blog. How to gain visibility on the Web"
Ourmedia also writes that you can volunteer to "contribute to this free, democratic knowledge database." Ada, Hiram, Janet and I went on the P.A.T. 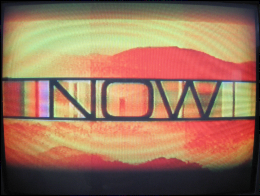 Show (Public Access Television) this evening on Boston Neighborhood Network. Produced by the Boston Neighborhood Producer's Group. We discussed legislation in Congress threatening the future of public access television and the Internet. We talked about how residents in Boston can get involved and take action to protect access to community media and the Internet. Here's a short video inside the Roxbury Studio at BNN. Boston Neighborhood Producer’s Group Start Videoblog! The Boston Neighborhood Producer’s Group started blogging yesterday over at their new blog! Hiram (pictured left) and Ada from BNPG and I met yesterday afternoon at the Boston Public Library for a blogging workshop. We set up the blog and discussed ways that BNPG can use the site to share their public access TV videos on the web and stay connected with other BNPG members. It will be fun to watch how the blog develops and to continue to participate in the process! Step 1: Andy Carvin covers the May 24, 2006 National Day of Out(R)age – BOSTON rally for Rocketboom and shares his video online at blip.tv licensed under a Creative Commons license. Step 2: NOW on PBS covers the issue of "Net Neutrality" Friday, June 3, 2006. Host, David Brancaccio speaks with blip.tv and other net neutrality advocates to investigate why without net neutrality, the Internet as we know it will fundamentally change forever. Step 3: During the segment, NOW features video clips uploaded to blip.tv. 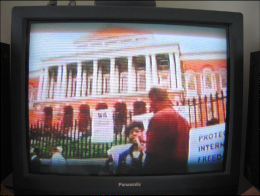 One of them, is an excerpt from Andy Carvin's video from the May 24 National Day of Out(R)age – BOSTON rally. Andy Carvin Covers Boston’s Day of Out(R)age for Rocketboom! watch the videoAndy Carvin, local videoblogger and Boston correspondent for Rocketboom, shot this video from today's National Day of Out(R)age rally and press conference in Boston. Thanks, Andy! You are currently browsing the archives for the Video Blog category. Help Celebrate ACME’s 5th Birthday! ACMEBoston is licensed under an Creative Commons Attribution Non-Commercial Share Alike 2.5 license.